The Crank Test is commonly used in orthopedic examinations to test for integrity of the glenoid labrum; it tests for a labral tear. This test is quite similar in many ways to the McMurray Test for meniscal damage in the knee. This test is usually performed with the patient in sitting but can also be performed with the patient in supine or standing. The examiner flexes the patients elbow to 90 degrees and elevates the patient’s arm to approximately 160 degrees in the scapular plane. 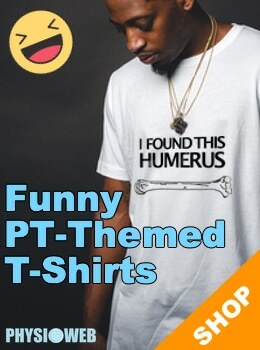 In this position, the examiner applies a gentle compressive force on the glenohumeral joint along the axis of the humerus while simultaneously moving the humerus into internal and external rotation. The Crank Test is considered positive if the patient’s pain is reproduced. 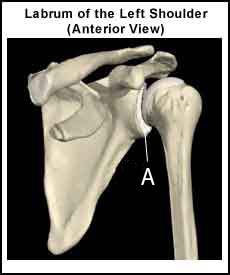 The test may also produce an audible or palpable clicking in the glenohumeral joint. This clicking should be repeatable. The Crank Test for integrity of the glenoid labrum is reasonably accurate though some studies show accuracy to be quite variable. 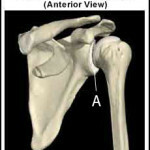 The ligaments of the glenohumeral joint may also be stressed during this test and may also be a source of pain.